I was able to spend a few moments with Mark prior to his wedding on a cool autumn morning at the Olivette community in Asheville. He didn't show an ounce of nerves and it was quite amazing. Mark was such a calm individual that was proud and excited to marry his bride! 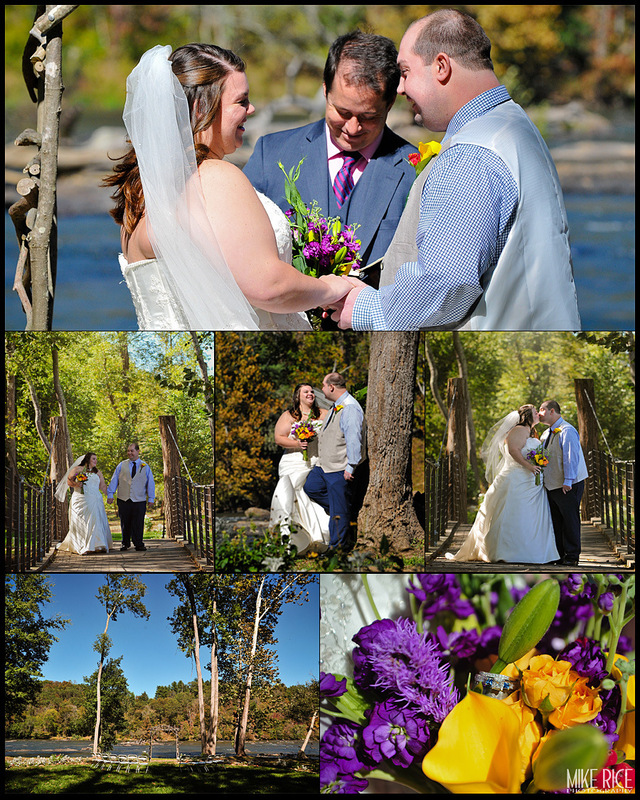 Surrounded by their family, Mark and Jessica chose the park in the Olivette Community for their ceremony and it truly is a beautiul location! Sitting right on the French Broad River with mountain views off in the distance, the soothing sounds of the river flowing by, along with the occasional birds chirping in the near by trees. Congratulations again Mark and Jessica! Your wedding was truly amazing and we wish you a life time of love and happiness!